Kutzbach, an emeritus professor of atmospheric, oceanic and environmental sciences and the former director of the Nelson Institute for Environmental Studies Center for Climatic Research, received the International Science and Technological Cooperation Award in a ceremony at the Chinese embassy in Washington, D.C. in May. The scientific collaboration that led to this award began in 1987, when Kutzbach was approached by Chinese geologist and geochemist An Zhisheng about his work studying prehistoric shifts of monsoons in the region. An invited Kutzbach to study the Xi’an loess, where wisps of dust sweeping across the Tibetan plateau settled in thin layers over millions of years, embedding subtle information about ancient climates in the sediment. Kutzbach uses models of the Earth’s climate to both better understand previous climates and more accurately predict future ones. He recognized the loess deposits as an opportunity to test the accuracy of his monsoon model. As climate models advanced over the decades, Kutzbach returned to the Xi’an loess to test and refine increasingly detailed simulations of Earth’s climate. During that time, Kutzbach came to mentor several young Chinese scientists studying at UW–Madison and extended his collaboration to include a dozen senior researchers on both sides of the Pacific, including UW–Madison climatologist Liu Zhengyu. Enduring records of past climates, like the Xi’an loess, are critical to testing the accuracy of climate models. By running the models back in time, and comparing the results to records from land, ocean sediments, and ice cores, our confidence in models to accurately predict future climates may increase. Throughout his research career, Kutzbach sought as many independent lines of evidence to test his climate models as he could find. Beyond China, Kutzbach turned to records in Africa, Europe, Australia and other locations to test his simulations. A native of Reedsburg, Wisconsin, Kutzbach received his undergraduate degree in electrical engineering and graduate degrees in meteorology from UW–Madison before joining the faculty in 1966. 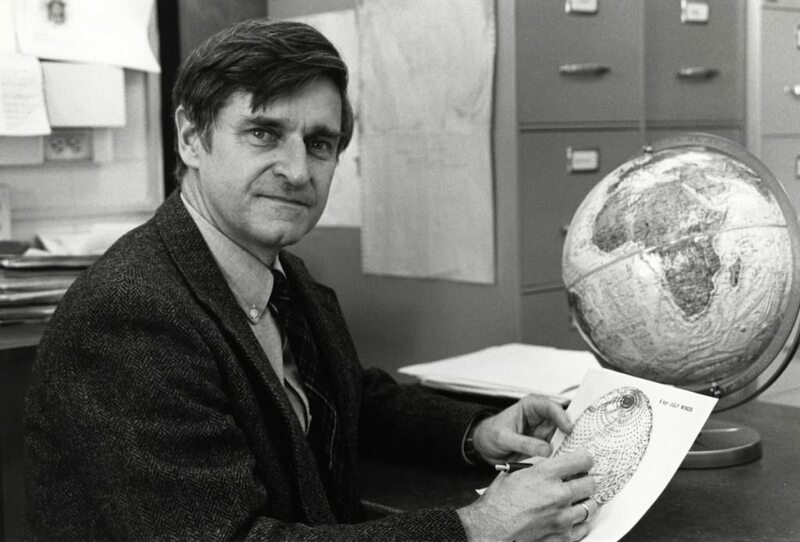 In 1970, he became the director of the Center for Climatic Research within the newly formed Institute for Environmental Studies, now the Nelson Institute. The Center for Climatic Research, which recently celebrated its 50th year, was one of the first interdisciplinary centers dedicated to advancing climate science. The climate models Kutzbach has used, developed at the National Center for Atmospheric Research in Boulder, Colorado, have been used by the United Nations Intergovernmental Panel on Climate Change to predict the climate several decades out as it continues to change in response to greenhouse gas increases. Kutzbach says that continuous funding by the National Science Foundation was crucial to maintaining such a long-lasting research partnership. The Chinese Academy of Sciences also funded joint research ventures throughout the 30-year collaboration, including travel to China. Through both visits to China and mentoring Chinese scientists at home, Kutzbach developed strong relationships with his collaborators. 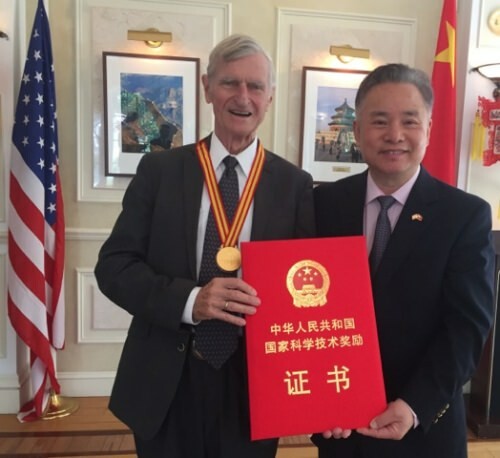 Kutzbach, a member of the U.S. National Academy of Sciences, was elected an honorary professor of the Chinese Academy of Sciences in 2009. In a fitting symmetry, An was elected as a foreign associate of the National Academy of Sciences last year. The long-time collaborators see their research relationship and international standing as an opportunity to extend scientific cooperation between the two countries. “It’s our hope that this is not an end, but that we can lay the seeds for an even broader collaboration in a global exchange of science between our two countries and perhaps between the Chinese Academy and National Academy of Sciences,” says Kutzbach.